Working on a smartphone or tablet with a small screen, no mouse and virtual keyboard is never going to be the same as on a full PC but a small amount of planning and using the device to its best advantage can make some tasks easier. It's no different with Facebook, email or any of the other applications that are used on a day to day basis. 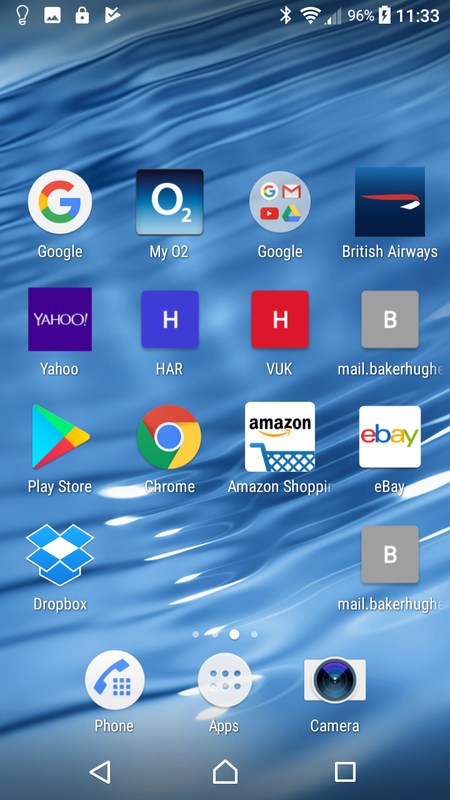 The first (and most) important step is to use the Androids ability to quickly access a number of pages/shortcuts and create quick links to any web based apps that you use regularly. The shortcuts take me directly to any "unread posts" which is what I want to see most of the time. 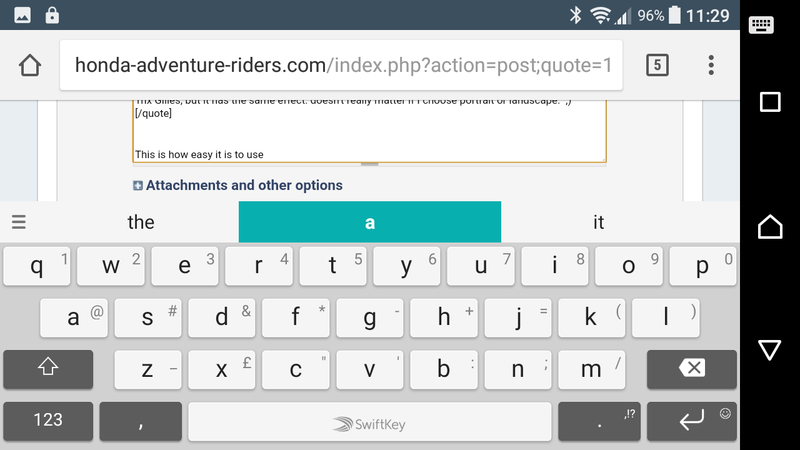 If I want to reply the screen size is limited by the virtual keyboard. If I don't like that I can use an external Bluetooth keypad but most of the time its not required. If anyone is not sure where the shortcuts menu is on this forum of they don't know how to add shortcuts to an Android device please reply here and we will try and add more information. I'm aware that some people have difficulty accessing and using the forum using Android, others (myself included) mange without too much trouble. There are other apps that make this easier, Tappatalk etc., but these require you to give the app creators full access to the forum system and database and I'm not prepared to do that. I've started working on a new Android (and eventually IOS) app that should make it easier for people to see new posts etc. 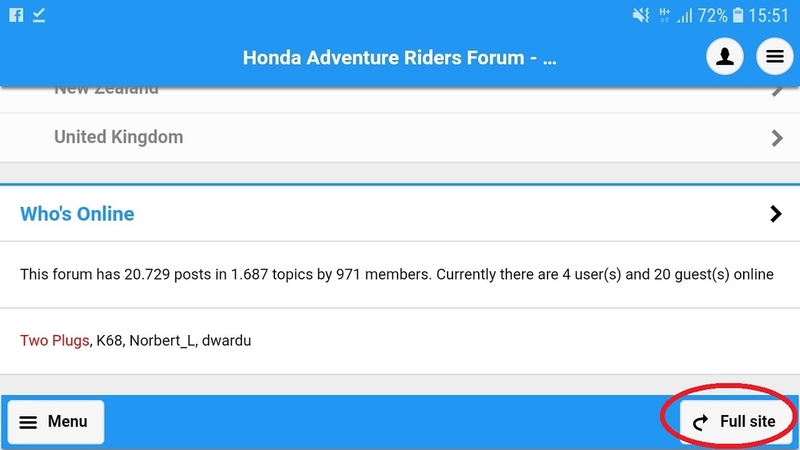 It's still in the very early stages and so far only replicates a link on your desktop which opens your default browser and shows the forum page with any unread posts. 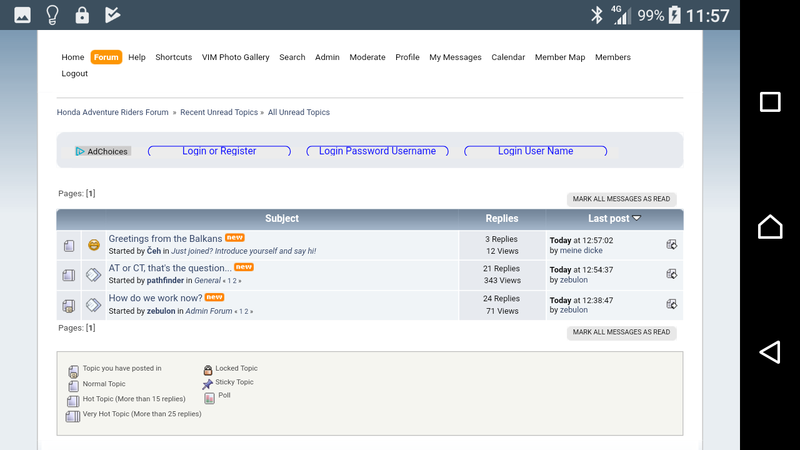 It relies on the fact that you have already permanently logged onto the forum from you android device. The App is available on Google play in Beta form and will automatically update as I develop it further. If anyone is interested in helping to test it please let me know. As I'm not home more then half a year, I use daily my phone or tablet to access the forum; with absolutly no problem (except screen size)... so do not understand the complain for that . Have tried Tappatalk on other forum and do not not think it is more easier or user-friendly ... and think there is some advertising embarrassing the read . Using mostly Safari on both devices (Mac included) or Chrome with no problem . Happy with this helpfull topic! Still struggling (due to my own shortcommings, lol) but if you could show me f2f at next VIM, I would be very happy! 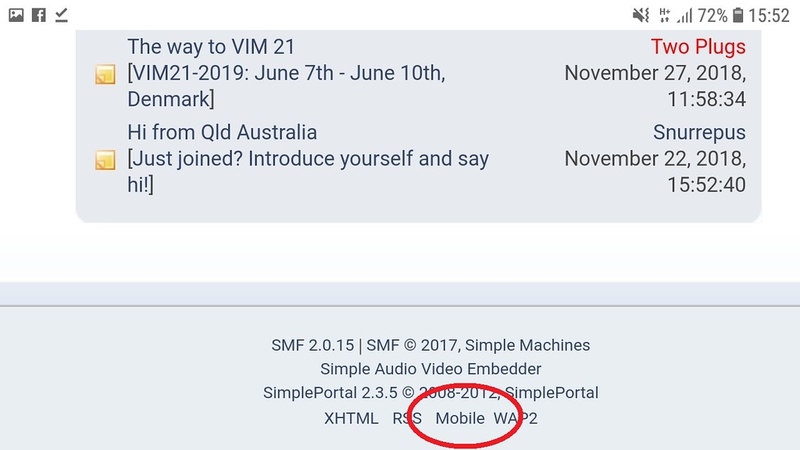 Had the perfect view on the odd smartphone, but I checked the option 'Full site' and lost it now... How can I switch back to the 'Smartphone' display? Ah, found! Check 'MOBILE' on the bottom of the page! Happychappy again! Just found this, will try to be on and about the page forum more regularly as I’m never home to use pc. Are you using an Apple device ?